A sheet of decals is included for you to stick to the relevant pieces yourself at various points throughout the build. The motorcycle looks every bit as good in real life as it does in photos. It's a very photogenic model. 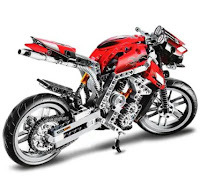 Featuring working steering, front suspension, and a two cylinder engine that operates when the rear wheel is turned, there's much more to enjoy than just looks and the obvious attention to detail in the design. Overall I was very happy to purchase the Beilexing Brick Motorcycle set as my very first 'non-Lego' brick set. 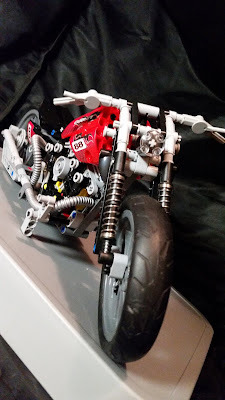 It really does look fantastic, is a fun, challenging build, that you'll want to put on display in your home (or wherever you keep your brick models). 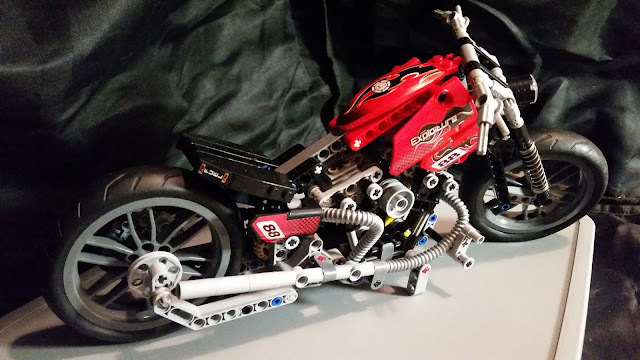 The Beilexing Brick Motorcycle is available now from GearBest. Support this site by clicking the affiliate links in this article before making your purchase.